Regardless of who in Israel can patch together a governing coalition in the aftermath of the Tuesday election — and it looks like Likud will once again form the new government — one thing is certain: there will not be a Palestinian state established anytime soon, if ever. If anything is clear after all these years, it might be that the formula as it exists since the 1993 Oslo Accords as well as that contained inside the yet-to-be-revealed Trump “Deal of the Century,” is that, in essence, whatever agreement is ultimately brokered, the one definite matter is no Palestine in Israel’s borders. It seems that all involved are slowly but surely coming to grips with the reality that there will be no Palestinian state that Hamas and Iran can use as a staging ground for attacks on Israel. Most importantly, key Arab countries like Egypt, Jordan, and Saudi Arabia understand that this is the way and the wave of the future. Most are on board with this new direction — except for the Palestinian leadership, which has already proven its ineptness. So here’s a matter to consider about this two-state solution dream: it might be that the idea was never meant to be implemented in any substantive or geographic fashion. Two states for two people — Arabs and Jews living side by side in peace — is a nice and perhaps even beautiful idea. But that’s it —it may have never been meant to be anything but an idea or a dream. The point to consider at this stage of what is commonly referred to as a peace process is that it was never meant to advance beyond a process that never achieves conclusion. It does not have to necessarily be that way if we are smart enough to realize that the old plan is not workable and that new vision and thinking is necessary if there is ever going to be any advancement to the point where the lives of average people on the ground are improved. Years ago, elections in Israel were about whether or not there would be serious negotiations between Israeli and Palestinian leaders. Whether they would speak to one another or not was never an issue. They spoke hundreds of times, both officially and informally. But talks always broke down because of Arab insistence that any agreement must result in the dividing of Jerusalem and the withdrawal of most Jewish residents of Judea and Samaria from their homes. Now it has been made abundantly clear by Prime Minister Netanyahu as recently as a few days ago that while the eventual objective is to improve lives, there will be no withdrawing from Jerusalem or just about anywhere else in Judea, Samaria, the Golan, the Jordan Valley, or anywhere else. When the senior negotiator for the Palestinians, Saeb Erekat, says this stance by Israel will lead to violence, in essence he is threatening terror, which really has no place in any process, whether old or new. What all this actually looks like is that peace between Israel and Arab and Muslim countries is advancing rather quickly, even at breakneck speed, but the issue of Palestine is somewhere between the rearview mirror and a cloud of dust created by those riding off into the future. Tuesday’s election in Israel was different than any past election. At no point was the matter of negotiations with the Palestinians an issue between the Blue and White Party of Benny Gantz or the Likud. And it will not be an issue for the various parties that will eventually be the ingredients that produce the new coalition. 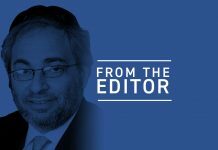 If there is any news, it might be that even the Arab population is tired of the lack of traction as a result of the intransigence of Palestinian leadership bogged down by their version of what Middle East peace was supposed to look like ten or twenty years ago. Arab turnout in the election was the lowest in history, and unofficial leadership in Arab towns encouraged residents not to vote as a way of protesting the disinterest of PA leadership in important economic and standard-of-living issues. At this point, it looks like Prime Minister Netanyahu will be able to form the new solid right-wing government with at least a 66-seat majority in the Knesset. And now that the election is behind us, the time for the release of the long-awaited Trump peace plan may have arrived. Not a great deal is known about the peace deal except that it was largely crafted by the president’s son-in-law, Jared Kushner, and contains some interesting and innovative forward thinking. One of these ideas deals with the creation of a Palestinian state mostly in what is today Jordan, with Saudi Arabia giving to Jordan an equivalent amount of territory that Jordan will give to the Palestinians. Mahmoud Abbas of the PA and Mr. Erekat will reject the proposal as soon as it is presented, but not because it is not an idea that can move the entire region forward. They will not be interested in the “Deal of the Century” proposal from the Trump administration because they and their families are making too much money from a broken and desperate system that has as its most distinguishing feature the threat as well as the actual perpetration of murder and terror. So is there a solution to this intractability? Yes, there is, and it is a matter of a bit more time and new Palestinian leadership that does not have an eye on the nearest bank but rather a vision of the future. 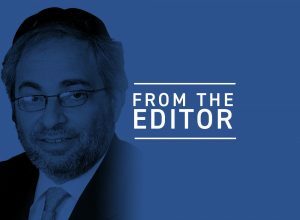 The dust is still settling, but Israel’s democracy is shining bright today in the aftermath of a free and unfettered election that allowed residents of Israel to express themselves at the ballot box. The end result is that the people want Bibi, stability, a sterling relationship with President Trump and the people of the United States, and the ability to progress and live in this modern world without distractions that lead to dead ends. The majority in Israel said they do not want to entertain leadership that indulges in misnomers with zig-zag policies that say one thing but do something entirely different. We have that here in the U.S. in the Democratic Party. This distorted and largely dishonest way of doing things has stopped fooling people, and after all this time, the people—whether here or in Israel—know what they want and understand what is at stake. After Mr. Netanyahu, the big winners in Israel are the chareidi, or what the media likes to call the ultra-Orthodox, parties in the Knesset. Both United Torah Judaism and Shas will have eight seats each in the next Knesset, which means that when the two are combined, they have the largest party in the Knesset after Likud and the new Blue and White party. That means serious and high-priority attention will have to be paid to issues of interest to residents of locations in Israel like Bnei Brak, Beitar Illit, and Beit Shemesh, where voter turnout was between 90–98%. What this amounts to is an electoral and democratic tribute to the power of Torah and the lifestyles guided by those principles. Unfortunately, in the past, including recently, these population centers were frequently viewed as something between mildly important and politically fickle. But after this election, that is no longer the case. Today, chareidim in Israel are a force to be reckoned with. In addition to the 16 seats of UTJ and Shas, the United Right, which includes several followers of Rabbi Meir Kahane whom Bibi was vilified in the campaign for associating with, garnered five seats in the Knesset along with the more right-leaning and nationalistic parties of Yisrael Beiteinu and Kulanu scoring an additional nine seats. As of our deadline, it seems that the New Right, with former MK Naftali Bennett and Ayelet Shaked, and Moshe Feiglin’s Zehut party failed to cross the electoral threshold and will not be seated in the next Knesset. As for the new chareidi power base, this will translate into doing away with the requirement for yeshiva students to serve in the IDF if they want to remain in yeshiva, as well as increased funding for yeshivas. The bottom line is that there will be no dramatic shifts or changes in Israel leadership. As a unit, the people of Israel have said that they are satisfied with the direction of the country and that they just want to continue with an improved version of that. It seems that is exactly what they will be receiving going forward.